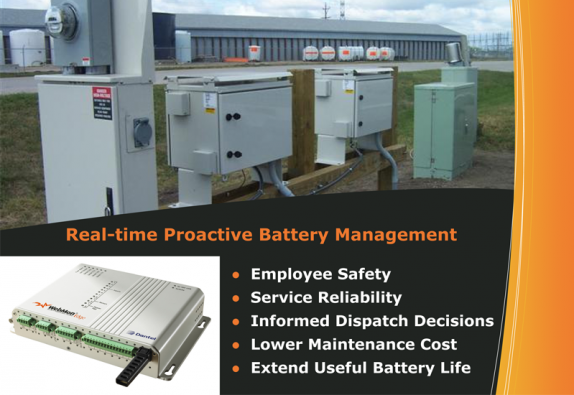 Minimize battery plant related service outages and protect your capital investment with Active Battery Monitoring (ABM) now integrated into WebMon®. Unlike mid-point battery monitoring, Dantel’s ABM can detect anomalous conditions at the cell/unit level and not only send threat alerts but automatically respond to unsafe conditions such as thermal runaway by neutralizing the offending source. 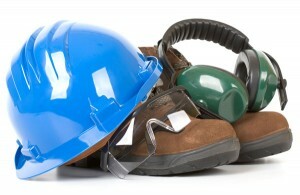 Dantel, a trusted name in network management solutions, has developed the ABM algorithm into its WebMon product line to help network carriers prolong the life of their battery plant and also to comply with Katrina Order (FCC Ruling 47 CFR part 12) by monitoring, detecting and preventing battery plant failures. WebMon monitors string temperature and voltage, environmental temperature, humidity, and optionally, cell temperature, voltage, and explosive gas. First alerts are communicated over wire-line, wireless or fiber at the first sign of cell parameter imbalance. The WebMon real-time engine continuously performs measurements and analysis of key battery parameters resulting in early prediction of battery failure. A control relay automatically protects against thermal runaway and catastrophic battery failure. Example: Typical 48 VDC string composed of four –12Volt Batteries. Voltage taps and temperature sensors monitor each 12 volt cell against standard threshold values and historical performance data. In addition, each set of cell parameters is continuously compared to other cells for minute voltage and temperature changes within the string. A “Derived Alarm” is declared by WebMon when a user-defined voltage and temperature difference or “delta” is detected within an individual cell or between any of the four cells within the string.